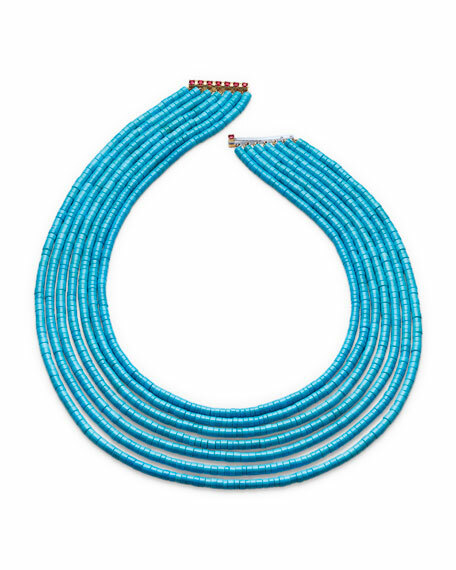 Seven-strand necklace by Paul Morelli. 0.80 total ruby carat weight. For in-store inquiries, use sku #2395558.